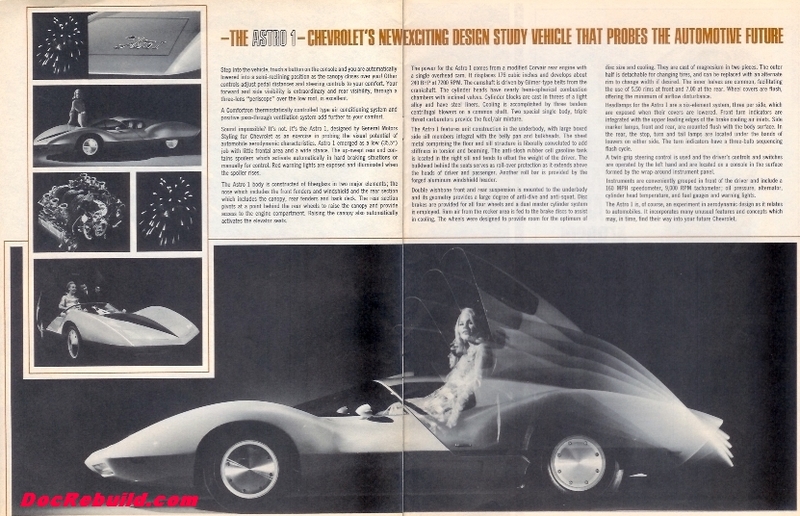 The Chevrolet Parts Mart was a monthly in house publication aimed at the Parts Dept and those customers who brought their Chevy in parts and or service. 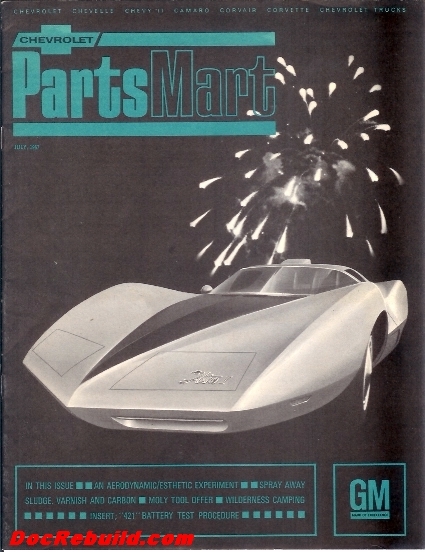 Above: The cover of the July 1967 issue of Chevrolet Parts Mart with the Astro I on the cover. 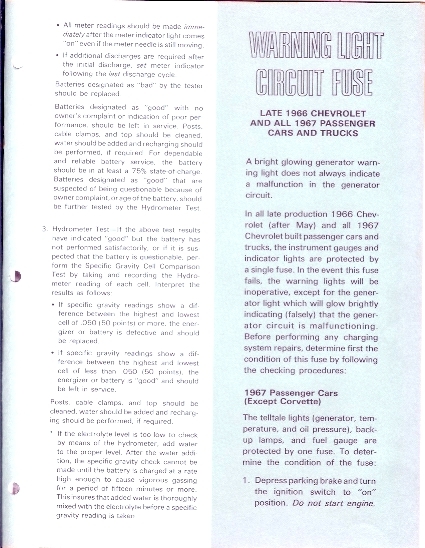 This is an 8 1/2" wide by 11" high booklet with 12 pages. 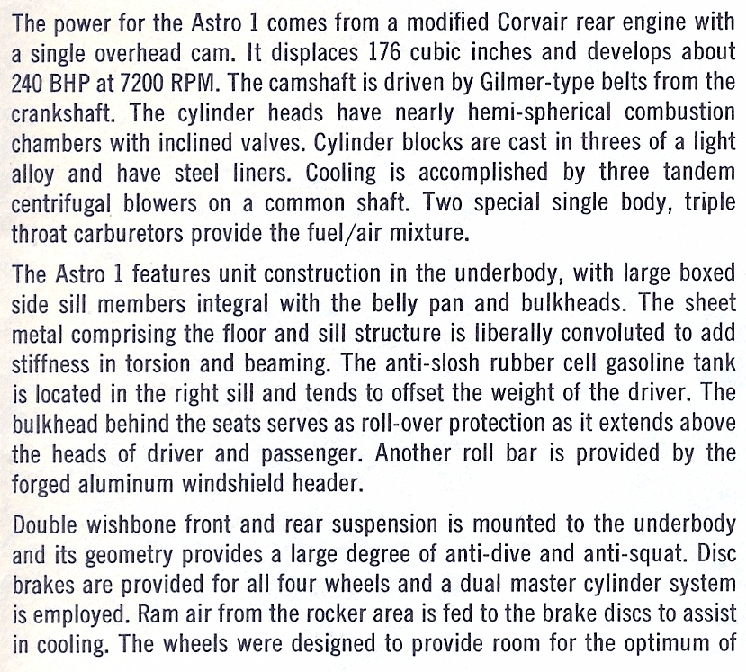 Above: the feature story Astro I. 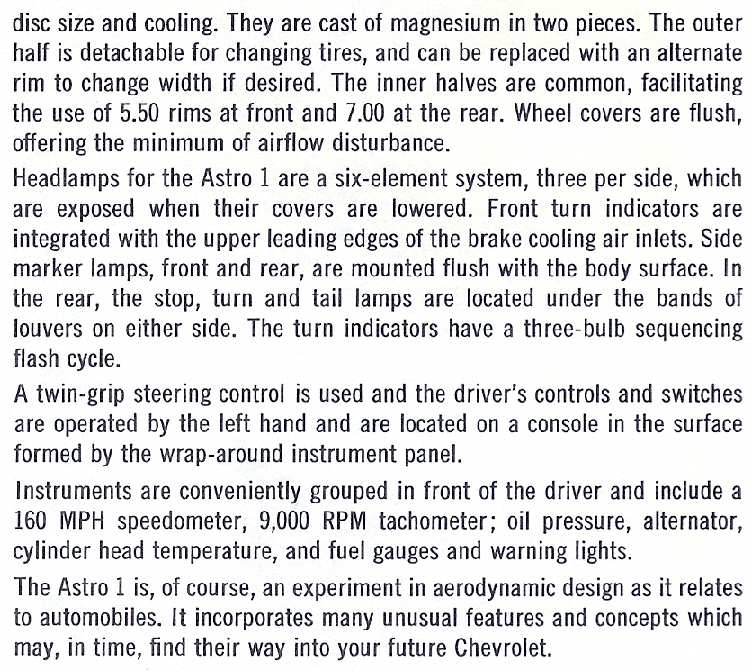 Below the 3 panels of copy are enlarged for your reading pleasure. 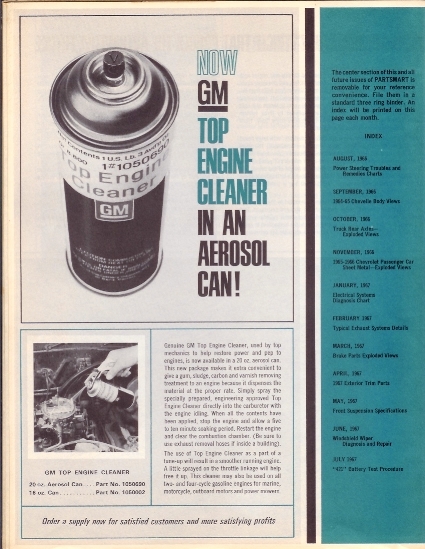 Above: GM's version of GUNK for internal cleaning. 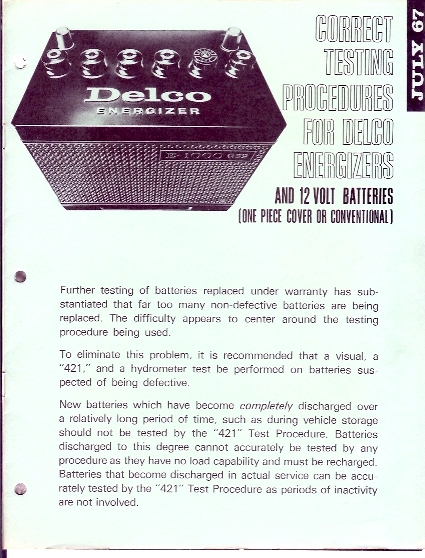 The RH column notes that following pages are removeable and already punched for a 3 ring binder. It also list the topics from the past 11 months issues. 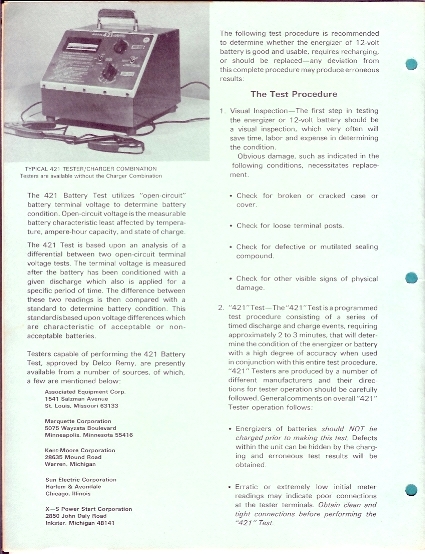 Above: this months feature is the Battery Testing Procedures. Above: more of the same. 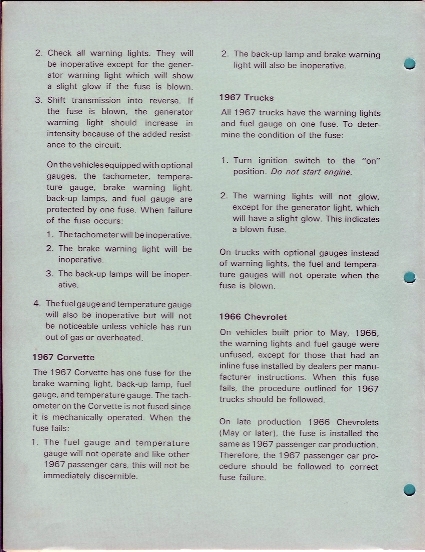 Above: Warning Light Circuit Fuse Troubleshooting. 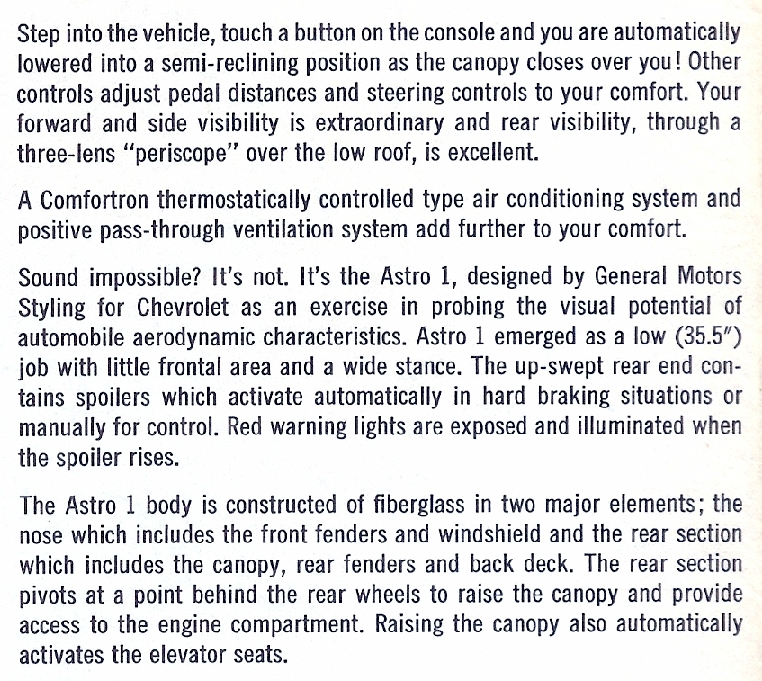 Above: procedures as it applies to 1967 Corvette . 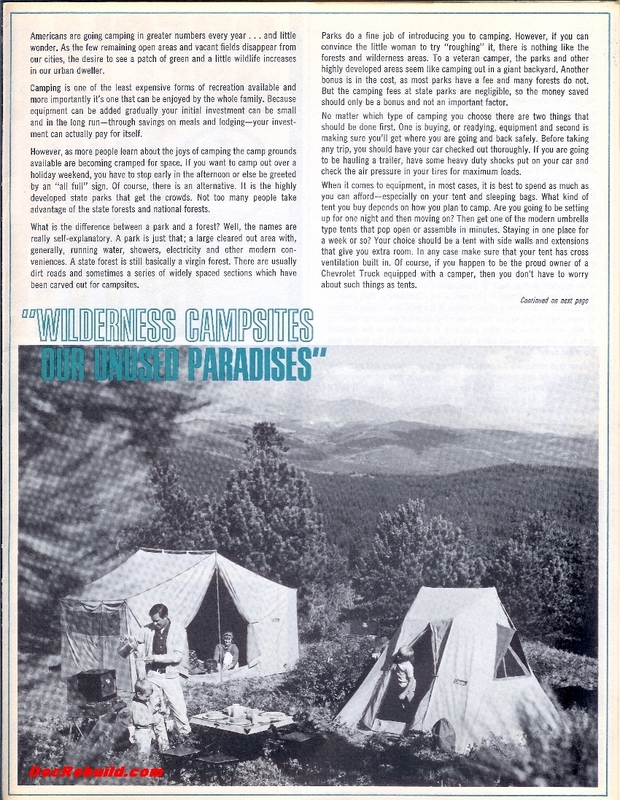 Above: the inside back cover Camping Story with Pa, Ma and the Kids and Bowser. 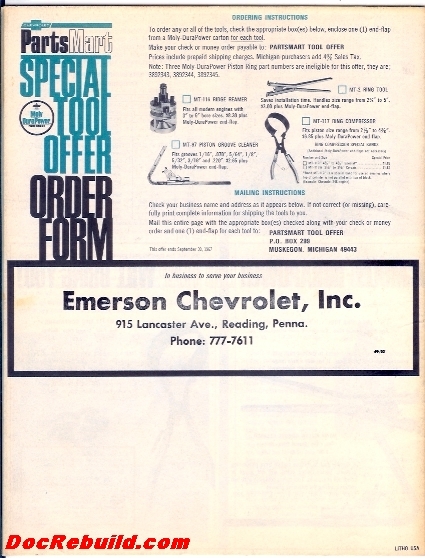 Above: special offer on a ridge reamer, piston groove cleaner and ring compressor.